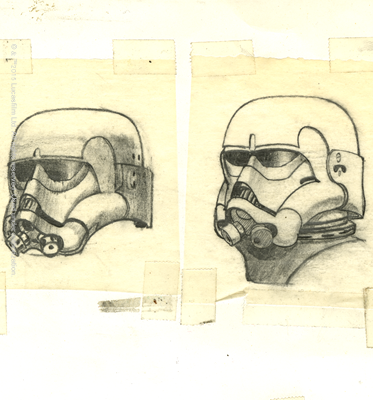 Few costume designs in the history of film are as iconic as the Imperial stormtrooper. The design work for these characters is traced back to Ralph McQuarrie's 1975 drawings and paintings, produced with George Lucas to help Fox company executives visualize the proposed film. 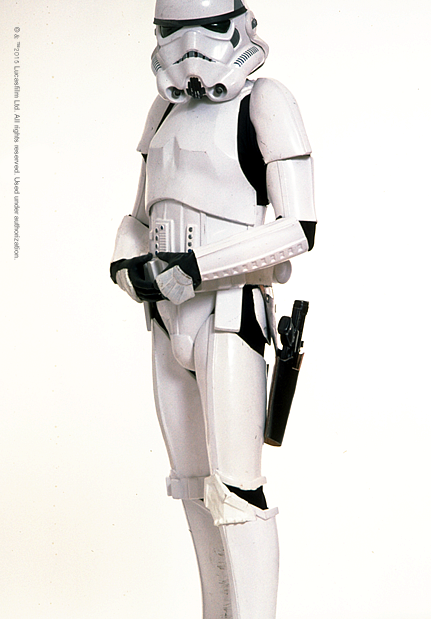 At George Lucas’s request, McQuarrie created a “spooky white space armor” for the stormtroopers. John Mollo then took McQuarrie’s designs and figured out how the pieces could fit together, based on his knowledge of medieval armor. 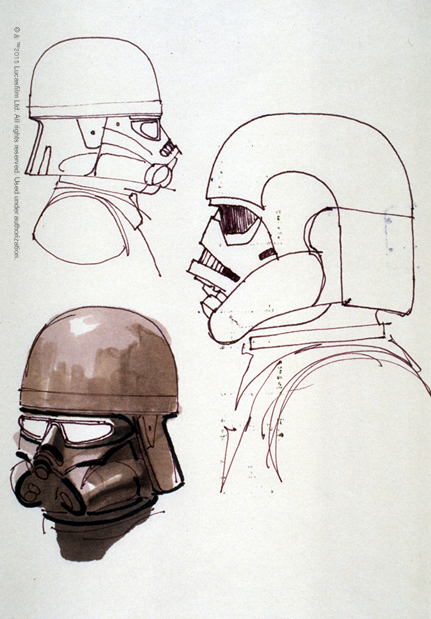 The helmets and armor are made from vacuum formed plastic. 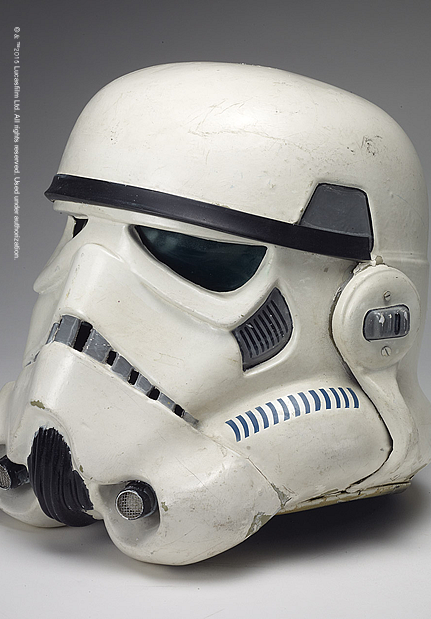 With its heavy scuff marks and dings, this stormtrooper costume shows the wear and tear of a battle with the rebel forces.